SJ has used Crystal Alarm for all board staff since 2012. 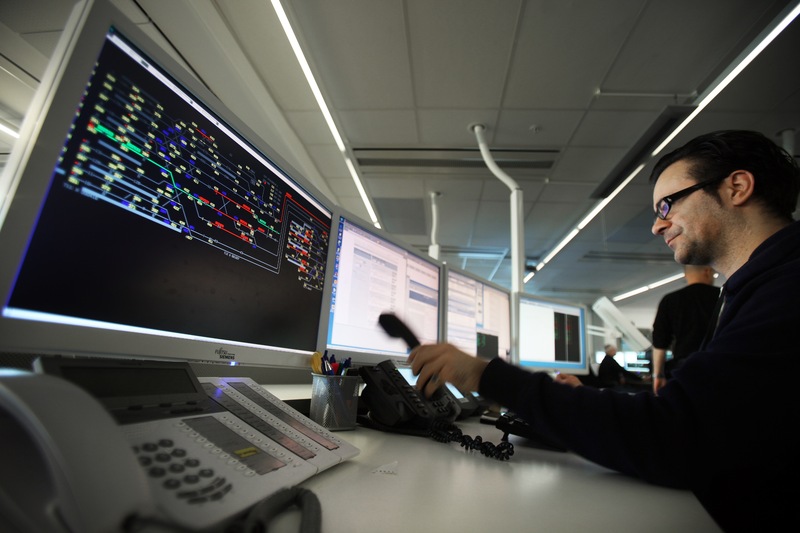 If anyone triggers an alarm, it is sent to both the traffic control center in Stockholm or Gothenburg depending on where the train is located, but also to colleagues on board the specific train. Crystal Alarm is automatically installed on all staff's phones. Pressing the ON / OFF button repeatedly activates an immediate alarm. Used by on-board staff when leaving the train and carrying out work such as switching. When the timer alarm is activated, staff can be followed by the traffic control center. If the timer alarm is not turned off, colleagues and the traffic control center is alerted when it expires. All staff have access to Crystal Button. A small and easy-to-use remote control. Wit the device, which is using Bluetooth technology, users can activate and alarm on the phone with a single press. Crystal Button is designed to prevent false alarms. The alarms on the handicap toilets on the X2000 trains goes directly to Crystal Alarm. The alarms are sent to everyone working on board the particular train. If on board personell are unable to stop the alarm, it is automatically escalated to the traffic control center. The traffic control center receives all the alarms at their control rooms in Stockholm and Gothenburg. If there is a problem with the connection in one of the control rooms, all alarms are automatically prioritized to the other room. All alarms are also sent directly to all colleagues on the same train. This allows the exposed person to get help faster. The link is made through an integration against SJ's planning system. The staff on the traffic control center and the colleagues can see which train the person is currently assigned to, they can also see the position which can be displayed on a map. When someone triggers an alarm, the phone's microphone automatically activates and allows the traffic control center to listen in on the background sound. The function is a great help in assessing what action is required.